Garmin International Inc., a unit of Garmin Ltd. (NASDAQ: GRMN), the global leader in satellite navigation, announced that it has been selected to be the exclusive official supplier of marine navigation, marine communication, and marine sensor equipment to the 34th America’s Cup. A full suite of Garmin electronics, which includes the award-winning GPSMAP® 7000 series of touchscreen multi-function displays (MFDs), will outfit the fleet of support boats used for the AC45 World Series, AC72 World Series, as well as the Louis Vuitton Cup, the America’s Cup Challenger Series and the America’s Cup Finals. In collaboration with the America’s Cup Event Authority (ACEA), Garmin has developed tools that enable the most responsive management of the fleet of mark and marshal boats than ever possible before. 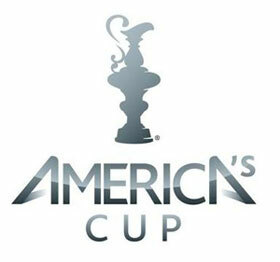 America’s Cup mark and marshal boats can now be tracked and dispatched in real time. If conditions permit, this technological addition will give officials the ability to change the race course faster than has ever been possible in the past.